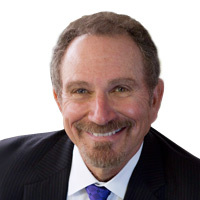 Dr. Harold Menchel has been speaking on the subjects of facial pain, TMD, occlusion, and sleep dentistry to dentists, physicians, dental students and the lay public both nationally and internationally for over 20 years. He has been featured on ABC News and Comcast Newsmakers. See what dentists who have taken his course are saying about Dr. Menchel! He approaches this topic from his experience as a “wet fingered restorative dentist” having treated restorative, TMD and facial pain patients for thirty-five years. Dr. Menchel understood early in his speaking career, that although he has a passion for his topic, most dentists do not share this interest. They would rather focus on restorative, implant, and cosmetic dentistry. To that end he concentrates his presentation on restorative cases with TMD and occlusal ramifications. This information is not available in most TMD orofacial pain courses! Dr. Menchel also knows how important the above knowledge is to treatment success, and teaches attendees to avoid getting into “hot water” with TMD patients! He presents practical essentials in a one-day format. The presentation is focused on the kind of restorative cases that will present in your office with occlusal and/or TMD issues. Hands on courses are also available. He is happy to customize the presentation to the needs of your study club. Most importantly this topic is essential for every dentist, whether they choose to treat TMD or not. Please Contact Dr. Menchel for more information including content and speaking expenses.